When you are trying to pay down your debt, why would you bother putting money in savings? 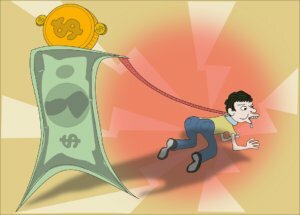 Isn’t it smarter to put all your money towards paying your debt more quickly? “While it can seem like taking money away from your debt repayment is slowing your progress down, you are actually creating an emergency fund to cover expenses in cash. 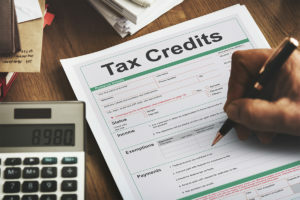 If you encounter unexpected expenses while paying down debt, you’ll be forced to turn to credit to cover costs, not only erasing your debt repayment progress, but potentially creating even more debt than you’ve got right now,” says Jeff Schwartz Executive Director, Consolidated Credit Counseling Services of Canada. While there are varying schools of thought on how much you need to have in emergency savings, it’s a good idea to have at least three months’ worth of expenses on hand. Set this as a goal and develop a strategy as to how you are going to achieve this. It may very well take time, but remember, every little bit helps and you are taking major steps towards a debt-free future. “You may not think that you’ve got any spare cash to devote to savings, but you’d be surprised at how much you might have if you retool your budget a little,” says Schwartz. Determine what your necessary expenses, including your minimum debt repayments are. Determine how much extra you can devote to debt payments. Beyond that, try to reduce unnecessary spending and put that money in savings, literally. Take the money that you’d spend eating out and put it in a savings jar. Walk instead of driving your car and contribute the gas money to the savings, and so on. It can be motivating to indicate progress visually. If you’ve decided to pay down your debt, make sure that you pay bills on time, every time. If you don’t, you’ll accumulate late charges and extra interest, which is going to make it hard for you to reach your savings or your debt repayment goals. Better yet, pre-pay your bills with a set amount. This will make sure that they are paid on time, as well as ensure that you are putting the extra amount that you’ve allocated towards your debts. Does your employer offer any savings programs that you aren’t taking advantage of, like matching savings contributions (which many do for retirement savings) or other savings tools? It can be handy to have savings deducted right from your paycheque to make the process seamless. If you’ve already got a start on your emergency savings, consider branching out into saving for your retirement with an RRSP which will help you address a few goals at once. You are saving for your retirement; you can use those savings for a house down payment or to further your education, reducing your need for debt for those goals. Avoid withdrawing from your RRSP for short term expenses though. Rely on your emergency savings first. You will also likely get a tax refund from your RRSP contribution, which you can use to pad your emergency savings even more. Having trouble addressing multiple financial priorities because your debts are too high? We can help. Call us at 1-888-294-3130 or visit our free online debt analysis .